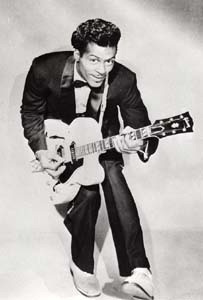 "Hail, hail, rock & roll"
Chuck Berry was the real King of Rock & Roll. 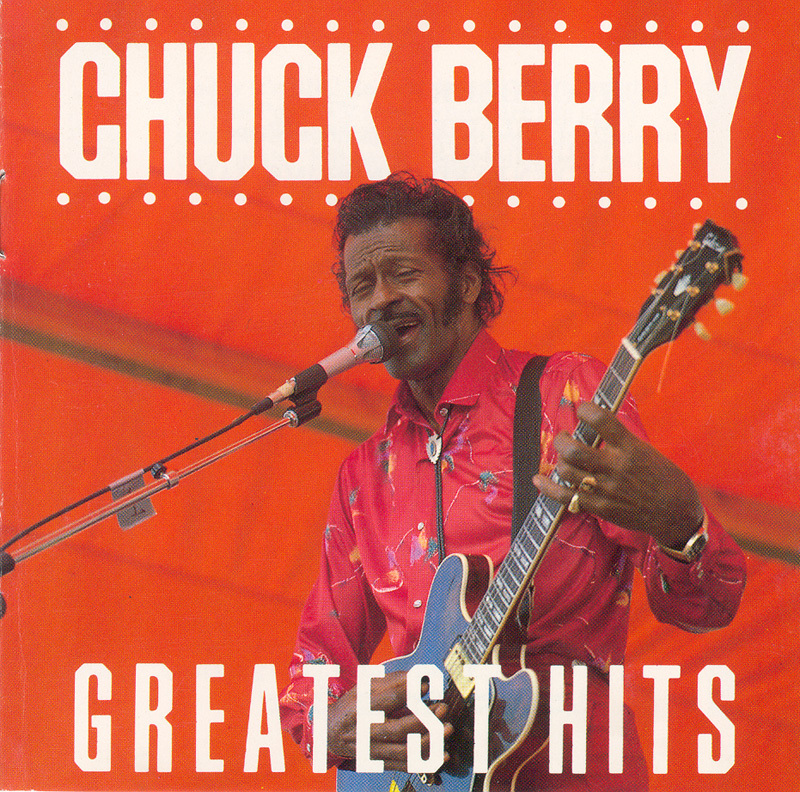 It took Elvis to make the music safe for white suburban kids, but no one captured the spirit of the music better than Chuck - and no one could ever match that nasty guitar sound. 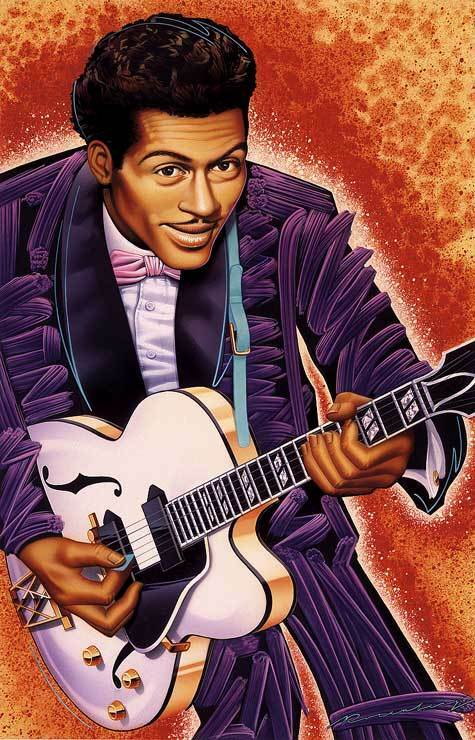 Little Richard claimed to be the king, but he was really the Clown Prince. 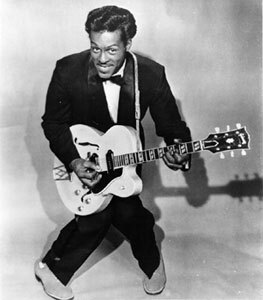 Fats Domino was the Duke. 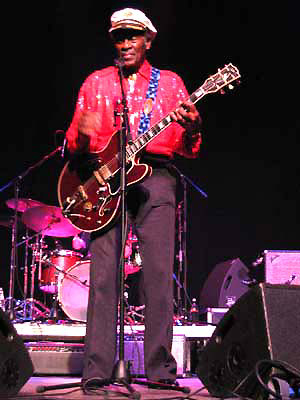 In later years, Chuck would tour without a band, hiring local musicians. 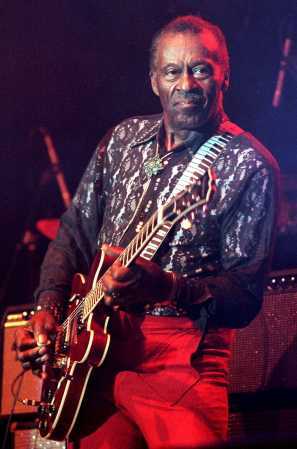 He is reported to have said, "If you can't play a Chuck Berry song, you got no business touching a guitar!" 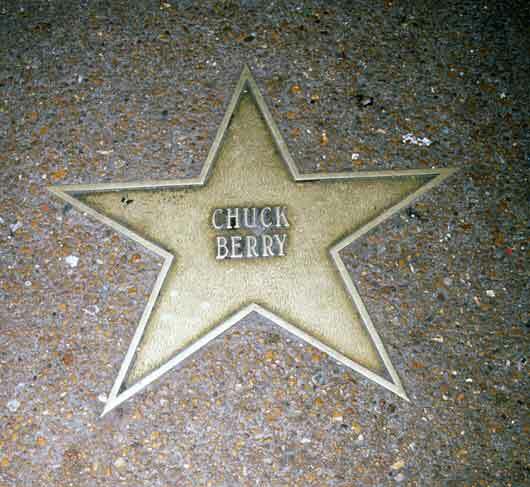 Those who do not claim him as a seminal influence or profess a liking for his music and showmanship show their ignorance of rock's development as well as his place as the music's first great creator. 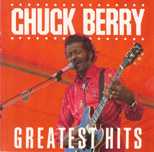 Chuck Berry's top ten hits:* "Maybellene" (5), "School Day" (3), "Rock & Roll Music" (8), "Sweet Little Sixteen" (2), "Johnny B. Goode" (8), "No Particular Place to Go" (10), "My Ding-a-Ling" (1). 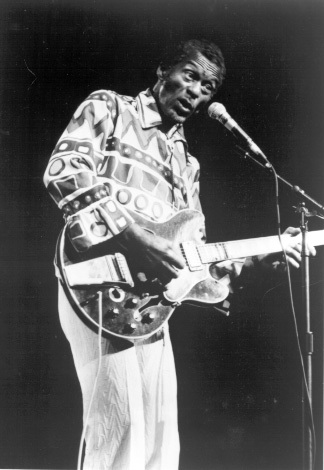 Chuck died March 18, 2017, age the age of 90, a few weeks before the release of his final album. *Billboard pop singles chart, as reported in the book Top 40 Hits, copyright 1992 by Joel Whitburn. 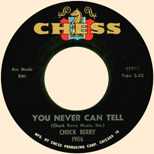 "Chuck Berry records are power-packed plastic, intense sonic creations that sparkle and cut with the brilliance of diamonds." 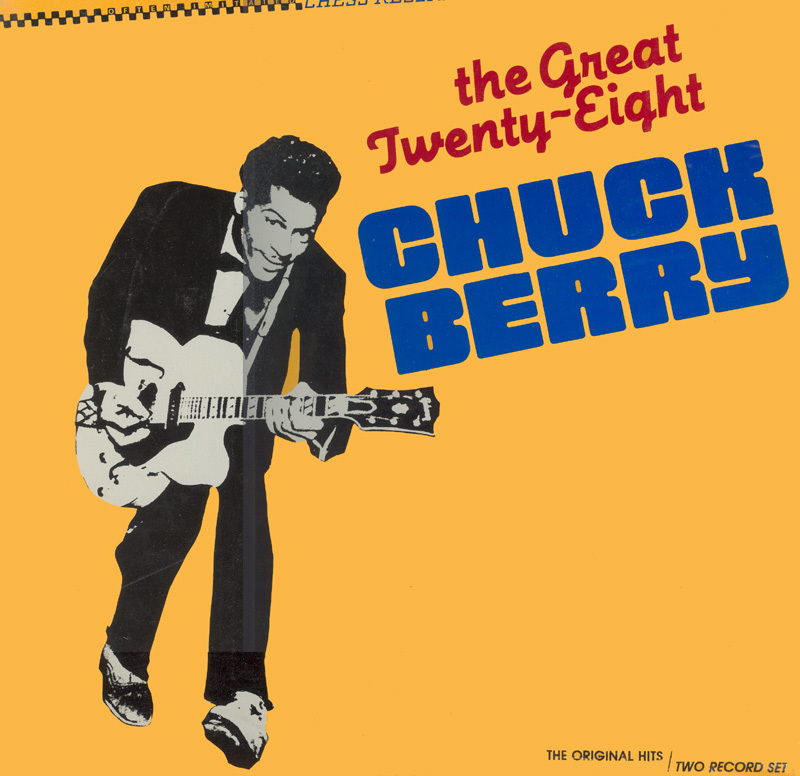 --Liner notes from The Great Twenty-Eight, double album "Via the juke box - and in exchange for sixpence coin - I could make my own musical choice...and choose some wildcat rock & roll from Bill Haley, Elvis, or, most exciting of all, Chuck Berry."